The world is facing a silent education crisis. The victims receive no television coverage, and their voices go largely unheard. But the consequences of this crisis are immense in terms of wasted opportunities for economic growth and social justice. The education deficit is particularly acute in sub-Saharan Africa, where problems caused by lack of funding are compounded by conflicts, population growth, HIV-AIDS, and gender discrimination. In Zambia, more teachers died of AIDS than passed through teacher training last year. 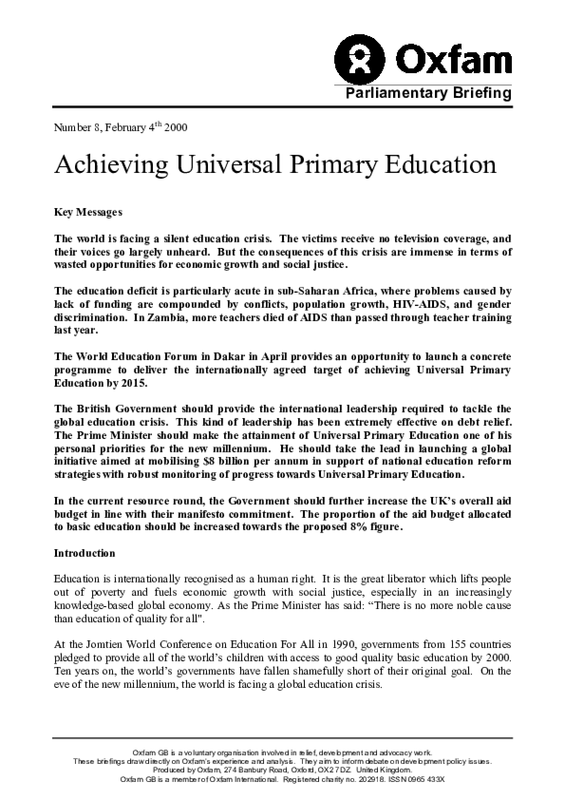 The World Education Forum in Dakar in April 2000 provides an opportunity to launch a concrete programme to deliver the internationally agreed target of achieving Universal Primary Education by 2015.